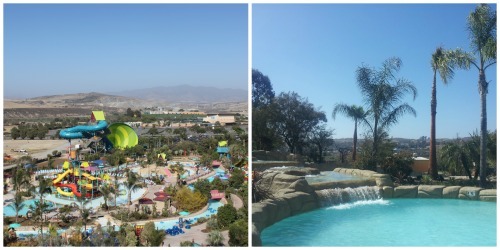 Aquatica San Diego, SeaWorld's Waterpark™, Splashes Into SoCal! 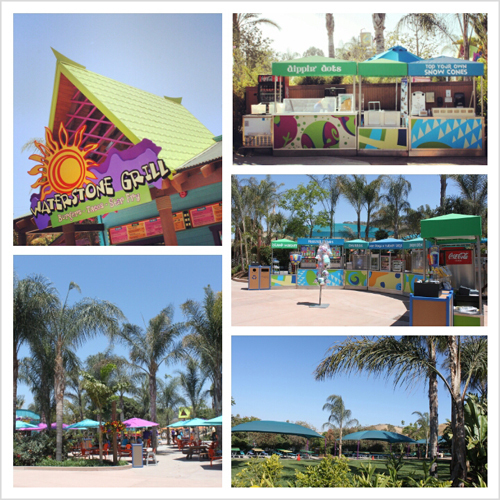 You are here: Home / Water Parks / Aquatica San Diego / Aquatica San Diego, SeaWorld’s Waterpark, Splashes Into SoCal! 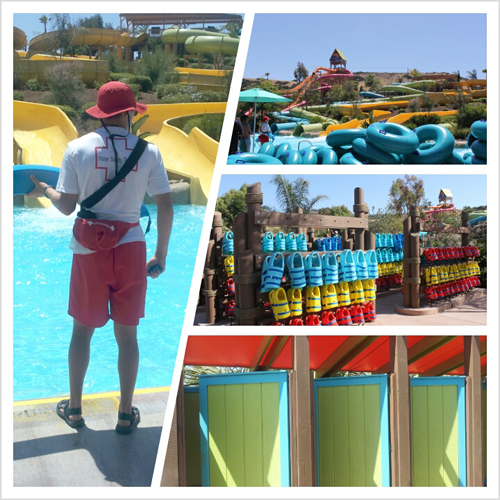 Aquatica San Diego has fun for thrill seekers and kids alike. 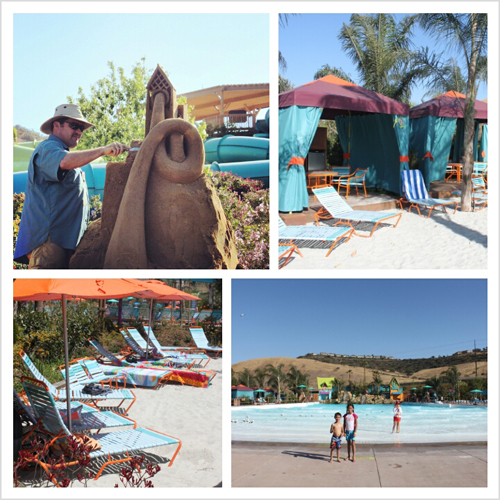 The Park has water slides, a lazy river, wave pool, and so much more! Here’s a listing of the rides and splash areas as of Opening Day, 2013. HooHoo Run® ~ Adrenaline pumping slide down an 80′ decent, with a 48″ minimum height ride requirement. 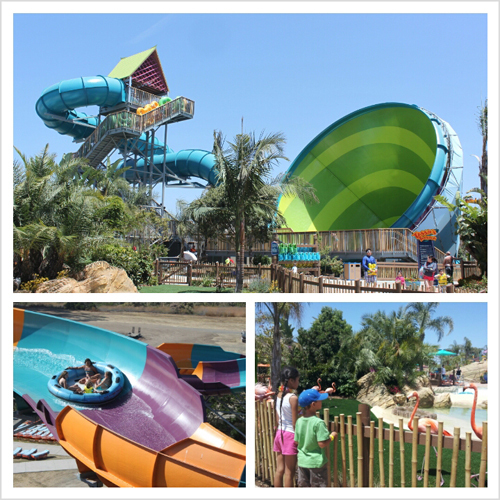 Kiwi Curl ~ Thrill-seeking slides with twists and turns with a 42″ minimum height ride requirement. Riders under 48″ must wear life vest. 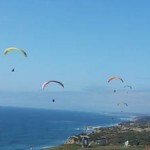 Tassie’s Twister ~ Spin, plunge, and drop into a 6 story funnel! 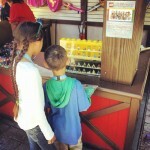 48″ minimum height ride requirement. Wahalla Wave® ~ Ride on a circular family raft with twists and turns down 78′. 42″ minimum height ride requirement. Whanau Way ~ 60′ water slide with twists and plunges. 42″ minimum height ride requirement. WooHoo Falls ~ Water slide for adventurous riders! 42″ minimum height ride requirement. Big Surf Shores ~ One of the largest wave pools in SoCal, with more than 500,000 gallons of water and waves up to 5′! We love the timer located in the top right hand corner of the attraction, counting down the time until the next set of waves will start rolling in, and the 43,000 square foot sandy beach area surrounding the attraction. 42″ minimum height, under 48″ in height are required to wear life vest. Kata’s Kookaburra Cove ~ A beautiful shallow pool area that kids can splash and play all day. It’s suggested that guests under 42″ in height wear a life vest. 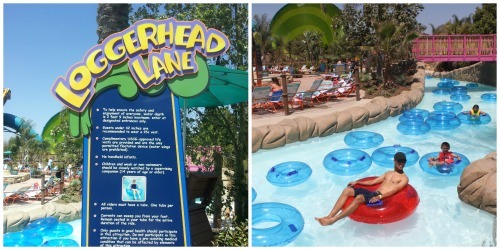 Loggerhead Lane ~ 1,250′ lazy river where you can float on a tube and relax the day away! It’s suggested that guests under 42″ in height wear a life vest. Slippity Dippity® ~ Kid Zone! This is a fun area where little ones can slide down short slides, and splash and play all day. 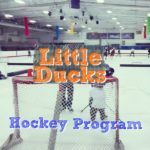 Our kids loved it! Guests on slides must be less than 48″ in height, or accompanied by a child under 48″. Walkabout Waters ~ Get ready for jets, geysers, hoses, slides, and a 500 gallon bucket of water dropping down every 5 minutes. This is a SUPER fun area interactive area! 42″ minimum height requirement to ride the slides. Plenty of Splashing For The Littles! 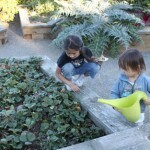 The older of our three kids are now 5 and 8. It wasn’t until recently that we had taken them to a Waterpark. They aren’t the strongest of swimmers, and I was always concerned that there wouldn’t be much for them to do. I was wrong! 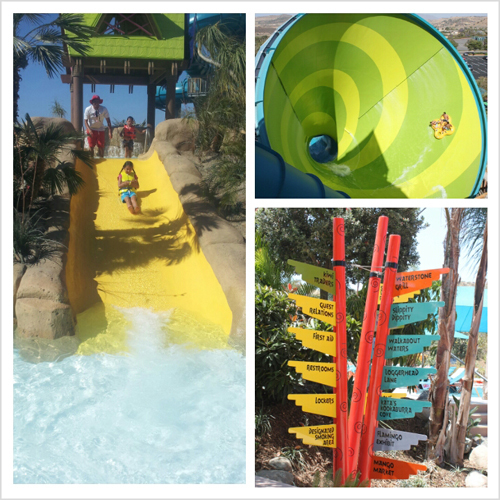 There’s plenty of splashing opportunities for kids that are not the strongest of swimmers at Aquatica San Diego. Our kids did very well on the big slides they went on, and Big Surf Shores is an area that even our not so strong swimmers can enjoy. They can splash in the shallow area in between the big waves rolling in, and have a blast! We love that big countdown timer to tell when to anticipate the next set of waves! Our kids loved floating down Loggerhead Lane, the lazy river. We even let them go float together without us. Of course, they wore their life jackets. It’s shallow enough (approximately 2 1/2 feet) that even our 5 year old could touch the bottom when standing up. They went over and over. Kata’s Kookaburra Cove, Slippity Dippity®, and Walkabout Waters are great for the littles that aren’t yet ready for the big slides. Our 9 month old baby loved standing, sitting, and splashing in the waters of Slippity Dippity®. Big Surf Shores is an area that you could totally sit with a baby in between waves as well! Our baby enjoyed the Park so much that he didn’t take a nap all day! 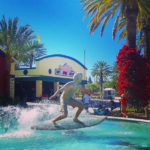 There are three walk-up restaurants (Waterstone Grill, Mango Market, and Island Market), and a number of concession stands at Aquatica San Diego. There’s even an adult beverage concession stand, Rockwater Oasis, for the grownups wishing to indulge in a margarita, beer, or wine, to go along with the resort-style feel of the Park. We sampled a few different items from different restaurants and enjoyed everything we tried. 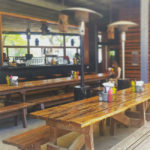 We ate a full lunch at Banana Beach Cookout, and loved it. The Banana Beach Cookout is located to the right of the entrance area, and (at the time of the Park’s opening) is open on weekends. This area is buffet style, and when we ate there they served hamburgers, chicken fajitas, macaroni and cheese, salad, and a variety of other items. I believe the menu will mainly stay the same. There’s a grassy area next to the picnic benches that the kids loved running around while we relaxed and let our food digest. When you enter you’re greeted by a flock of beautiful Caribbean flamigos. The birds are up close, allowing you to get a great view of their beautiful wings. We spent close to ten minutes observing them, and visited them several more times throughout our visit. Fresh water turtles also have a home at Aquatica San Diego. These cute little turtles are located near the entry to Big Surf Shores. Be sure to take a few minutes to stop and take a look. When we visited the Waterpark a few special animal guests from SeaWorld San Diego paid a visit, including an American Alligator, a sloth, and a bunny. 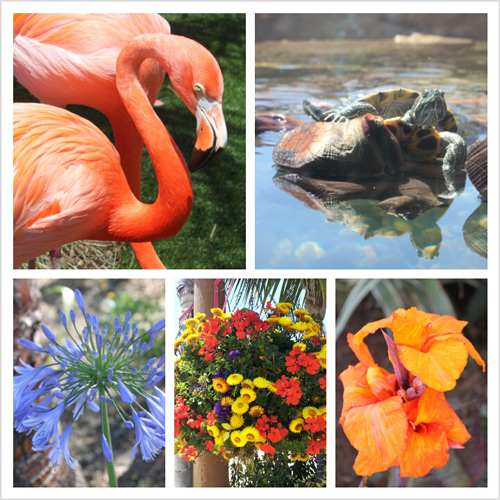 We’d love to see these animals have a permanent home at Aquatica as Animal Ambassadors! 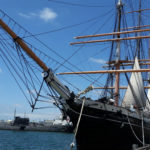 • Life vests and inner tubes are included with admission, and are available throughout the Park. • Aquatica has lifeguards working throughout the Park, and seem to be very attentive to patrons. • There is a Nursing Room for moms that would like additional quite or privacy when nursing their babies. • Cabanas are available for rent, some even including a beach front feel and refrigerator. • Lounge chairs are available throughout the Park, including many in shaded areas. • Lockers are available for rent in three different sizes. A rental area is across from the flamingos, close to the entry. 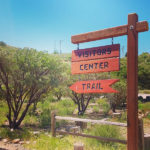 • There are private changing areas in the Park to change in and out of swim suits with ease. 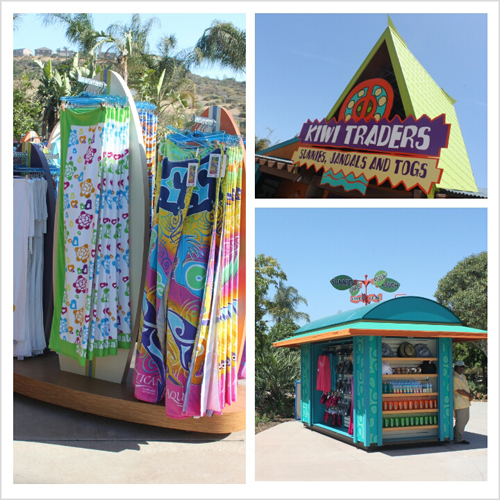 • A store, as well as a walk-up kiosk in the Park sell items such as hats, sunglasses, sunscreen, towels swimsuits and more! Aquatica San Diego offers discounts for groups of 15 or more persons in a party. 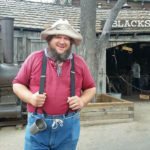 San Diego County residents may also be able to save with a Resident Offer, such as a Season Splash Pass, or Multi-Park Pass which includes both SeaWorld San Diego and Aquatica San Diego. By the way, kids age 2 and under are free! Once at the Park, buy a reusable Aquatica beverage cup, and receive discounts on refills when you bring it to each of your visits. Visit the Aquatica San Diego website for more details about group discounts and admission discounts. If you enjoy social media, use the hashtag #AquaticaSanDiego on Twitter and Instagram. 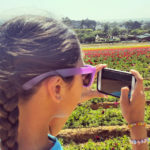 While at the Waterpark (or SeaWorld) tweet to @ClydeSeaWorldSD about your adventures. He loves being social! 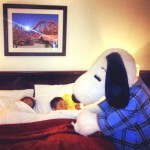 Tweet to us as well, at @socalwithkids! 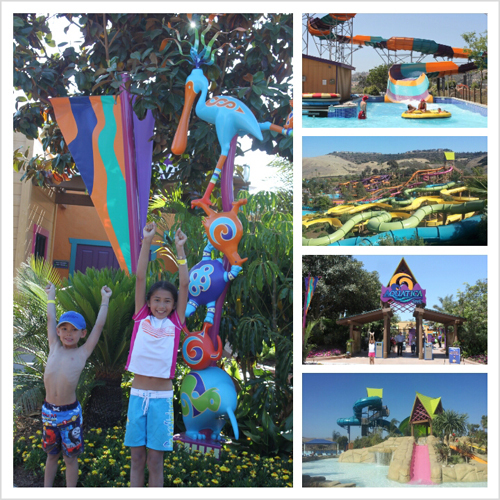 All in all we think that Aquatica San Diego is a super fun Waterpark. There’s plenty to do at Aquatica San Diego that you could easily spend the entire day, from opening to closing. The Park is located at 2025 Entertainment Circle, in Chula Vista, right next to the amphitheater. For more information, including pricing, hours of operation, and further details about the Park, check out the Aquatica website HERE. 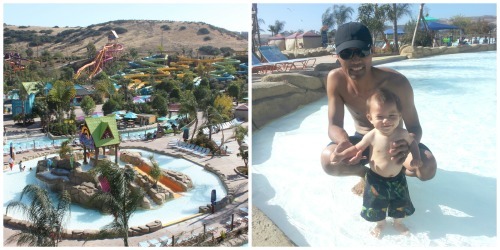 We had an amazing time at the Waterpark, and can’t wait for our next visit! Perhaps we’ll see you there!